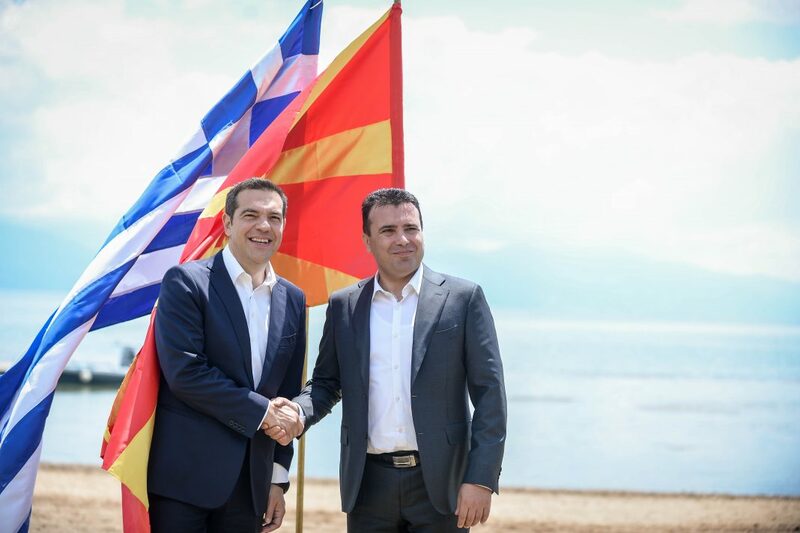 PMs Zoran Zaev and Alexis Tsipras in Oteševo, FYR of Macedonia, after signing the preliminary agreement. The prime minister of the former Yugoslav Republic of Macedonia (FYROM) is scheduled to address the European Parliament in Strasbourg on September 13. In his speech, Zoran Zaev will focus on his country’s possible accession to the European Union. Greece and FYROM signed a preliminary agreement to rename the latter in June, following a decades-long name dispute, which blocked the country’s prospects of joining the European Union and Nato. The proposed new name on the table is the “Republic of North Macedonia”. The outcome of the name negotiations, which has already been formally ratified by the FYROM parliament, will also be put to a referendum in the country on 30 September. Meanwhile, Federica Mogherini, High Representative for Foreign Affairs and Security Policy/Vice-President of the European Commission, will travel to Skopje on September 13 to discuss with her counterparts future relations and the European Union integration perspective of the country.